What is Independent Public Radio? 90.7 KSER is a locally owned and independent public radio station, operated by the non-profit KSER Foundation. Our mission is to advance the common good in our community through public radio and other services dedicated to arts, ideas, and community engagement. Our vision is to serve the public interest by providing residents of the North Puget Sound a diverse mix of news, information, and entertainment through all the mediums available to us—primarily our FM radio broadcasts and our website. We place priority on meeting the needs of communities under-served by other media in our area. To do this, we provide training and opportunity for local residents to make their own media, to articulate their own views, ideas, and concerns. 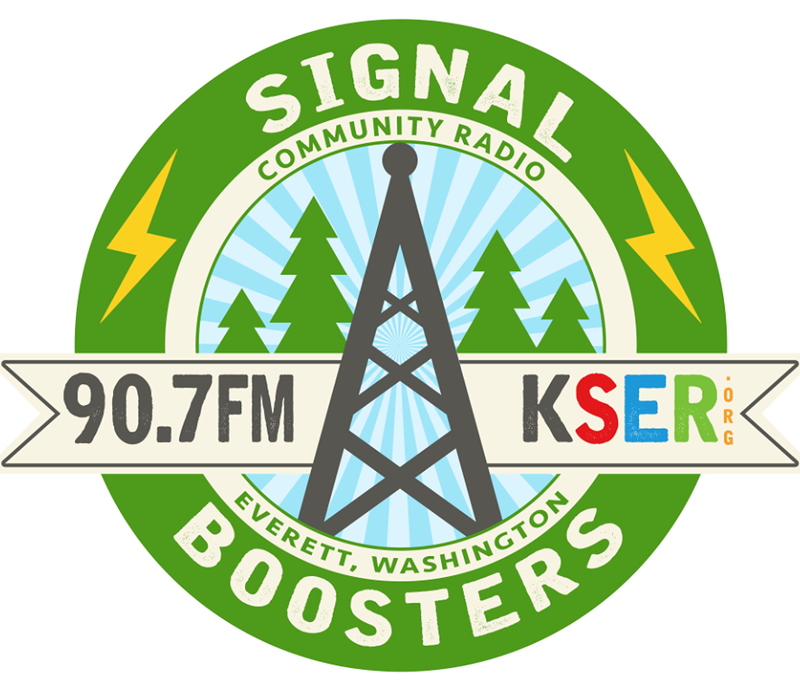 KSER is also volunteer-powered community radio—most of our radio hosts are volunteers. The station operates with a small paid staff and thus relies on the talents and energies of many volunteers for almost all of our on-air and off-air activities. As a community radio station, KSER is committed to volunteer participation and works to train community members in the skills of broadcasting and empower you to be the media. 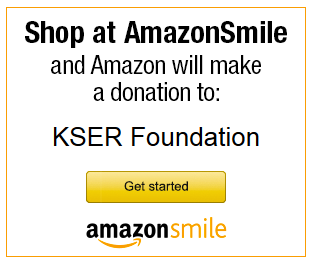 There are a variety of ways you can contribute to the station on-the-air, behind the scenes, or in KSER Foundation governance, but volunteering at KSER is not a casual activity. Ten's of thousands of people tune into KSER every week and expect our service to be accurate, reliable, and professional. Volunteering at KSER requires a serious commitment on your part to maintaining the value of our service to the community. If you’ve always wanted to be on the radio, this is the way to get started! KSER offers quarterly evening classes in the art of broadcasting. The regular fee for the class is $75 ($50 for students, seniors, or low-income). The class meets once a week in the evening for 6 weeks and is required for all prospective on-air hosts. You can sign-up for the class on our website here. Upon completion of the Basic Broadcasting class, prospective programmers (both regular and substitute) may submit an audition tape and program proposal to the program director. Audition tapes should be 30 minutes in length and mimic a live KSER broadcast, with appropriate music selections and announcer breaks. • Observe 2 different programmers during at least one hour of their on-air shift. • Operate the board at least 2 times on approved programs. • Present an air-check CD (or tape) of a live air-shift of at least 20 minutes in length and including at least two mic breaks. • Arrange any follow-up training sessions and air-checks as required by the General Manager. All air-shifts are subject to approval by the General Manager. KSER has many opportunities for those interested in volunteering in our public affairs department. If you have experience or interest in reporting, interviewing and/or producing your own public affairs program, contact our News Director, Ed Bremer. Help answer phones and take pledges during pledge drives. Help during and after pledge drives to process pledge payments and make sure all members get their thank you gifts. Collate and organize membership renewal mailings. If you are interested in volunteering during or after the membership drive, please contact Steve 425-303-9070 or via email. The Community Advisory Board (CAB) is a group of committed station listeners who volunteer regularly to do outreach for the station at community events, and keep the General Manager apprised of community feedback about our programming. The CAB meets once every three months in addition to representing KSER in the community. KSER is frequently out in the community at music events and lectures, or building bridges with other community-minded groups. We can always use friendly and enthusiastic volunteers to “table,” be a KSER representative to community groups, and generally spread the gospel of independent community radio. Contact KSER Foundation’s board liaison to the Community Advisory Board and get plugged into what’s going on. The Board of Directors is the governing body of the KSER Foundation, the license holder of 90.7 KSER. The Board has three primary roles: set policy for the station, provide fiscal oversight of station operations and taking a leadership role in fundraising. The Board is a vital extension of the station’s philanthropic network, and individual Board members are each expected to make a leadership gift and are responsible for raising funds for the station each year. If you are interested in serving on the Board, please contact the Board President. As a volunteer-powered, community radio station, there are a variety of ways you can contribute to KSER and learn the art of radio. One important warning, though: community radio, like many small-budget non-profit organizations, laborers under the burden of doing a lot with very little. A lot of things that big companies can do without blinking an eye, like providing an endless stream of copier paper and office supplies, are beyond the resources of community radio. That means your commitment as a volunteer is extremely important: maintain a fixed schedule of volunteer hours, complete the work assigned to you, do it on-time, find a substitute in your absence, etc. Above all, be reliable and professional in your volunteer work at KSER. Think of community radio as a potluck. Be prepared to roll up your sleeves, work with others to plan the menu and help prepare the meal together—there won’t be a Chef or clean-up crew to do everything for you. Like all community endeavors, Community Radio takes patience, engagement, determination and an investment of your energy. When you see a need to be filled, offer your help to fill it. When you see staff struggling to get everything done, find a way to become part of the solution. That’s what true community is all about.